Well February 14th has come and gone. How can this be? It was a day of spending time with my little Valentines. Flowers, kisses, hugs, build-a-bear, pizza, and of coarse, little man's Preschool Valentine party also made the day exciting. 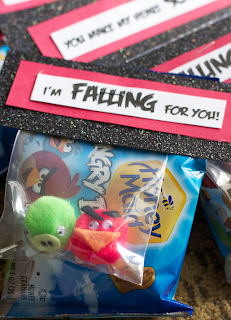 When it came time to making Valentine cards for dude's preschool class, the idea of Angry Birds was presented to me. This little man of mine loves Angry Birds. I think the game is fabulous and am grateful for the convenience of the iPhone, but I am not a huge fan of my child being glued to an electronic devise. When I found THIS amazing Angry Bird pom pom tutorial, from my dear friend's craft blog Just Between Friends, I was thrilled. Jonie, you are a genius! 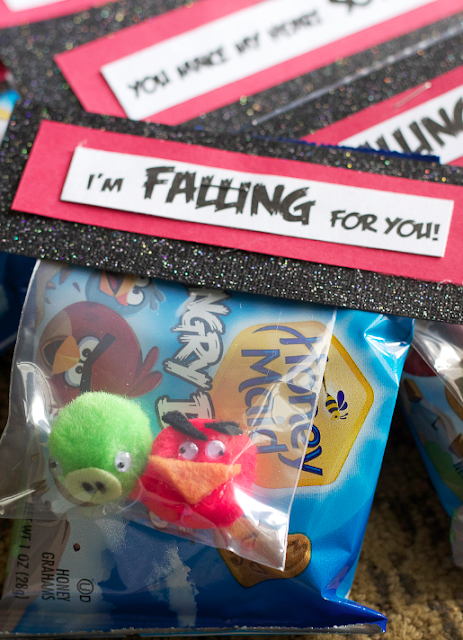 Needless to say, dude insisted that we make his preschool friends Angry Birds as a little gift. And so we did. Along with the actual Angry Bird pom poms we gave his favorite Angry Bird snack. You are oh so "TWEET" Valentine! 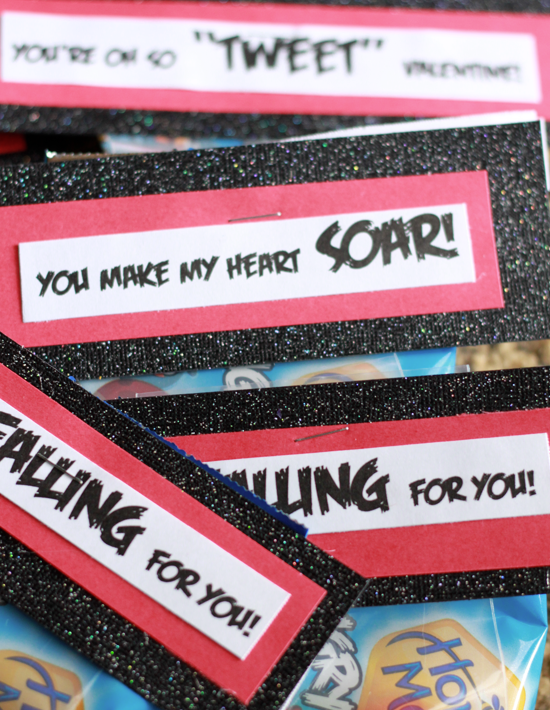 You make my heart FLUTTER! I found the Angry Bird Font HERE! Thank you Pinterest! Well, that's that. I hope you all had a happy Love day, full of time well spent with the people you care for the most.